There can be only one best wizard-playing actor this fall, and it looks like Eddie Redmayne is taking the title. But which of these classically trained British actors is actually the better magician? It turns out Redmayne had a head start. Eddie Redmayne spreads more magic in "Fantastic Beasts"
“A lot of people don’t know this, but Eddie is in fact a highly trained master magician,” Norton explained, setting Redmayne up to perform a trick involving a “totally ordinary coloring book” on the show. Redmayne then walked Cumberbatch, Norton and fellow guest Bryan Cranston through a routine in which he “magically” filled in the pages of the book, even whipping out a wand at one point. 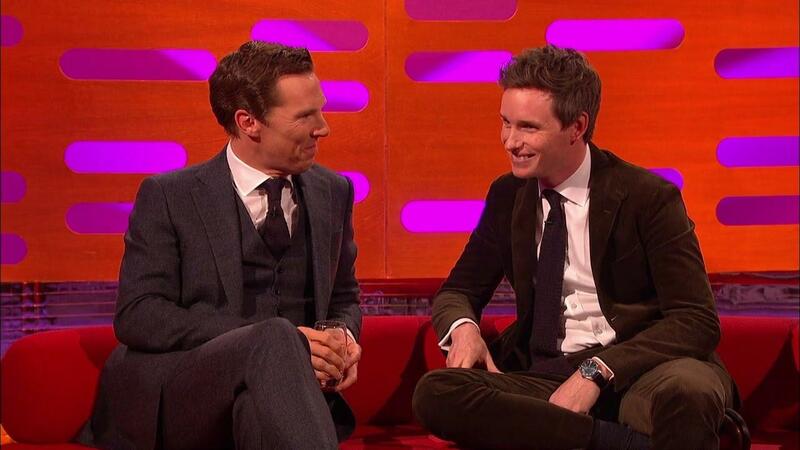 While Cumberbatch was happy to comply, he did express some reservations at a full-on collaboration.